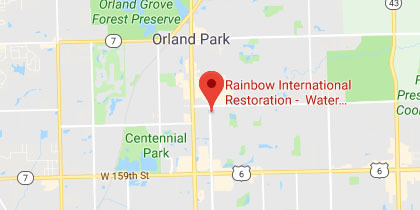 For over a decade, residents of Tinley Park, IL, and the surrounding areas have been able to count on Rainbow International Restoration of South & West Suburbs for premier disaster restoration and cleaning services. Through our 24-hour emergency-response services, we help residential and commercial property owners get back on their feet swiftly and effectively. Whether water, smoke, fire, mold, or something else is the cause of the damage, we will respond rapidly to begin the recovery process. Your peace of mind and well-being are our top priorities. 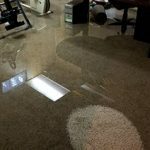 At Rainbow International Restoration of South & West Suburbs, we offer comprehensive water damage restoration services to property owners in Tinley Park, IL. Through these 24/7 services, we respond rapidly whenever you experience property damage due to excess water and moisture. We utilize advanced water extraction equipment and proven structural drying techniques to eliminate excess water and restore affected materials. No matter the cause of the water damage, our talented technicians have you covered. 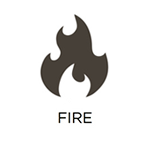 It is critical to respond to a fire on your property as rapidly as possible. This involves contacting your local fire department as soon as you can, and then calling a restoration professional right after the fire is put out. At Rainbow International Restoration of South & West Suburbs, we offer 24/7 fire damage restoration services to stabilize your building, stop the spread of damage, and restore affected areas and belongings. 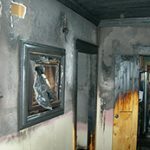 We address damage caused by fire, smoke, soot, and more, and offer these services to property owners in Tinley Park, IL. 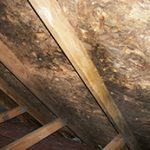 Mold can be extremely hazardous to your property and health if it is left to grow unabated. At Rainbow International Restoration of South & West Suburbs, we eliminate these risks through our mold remediation services. 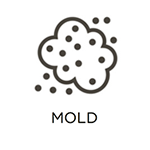 We utilize state-of-the-art mold removal equipment and procedures to address all cases of mold growth on your property. If you notice any mold, we encourage you to contact us right away to begin the restoration process. We offer these services to property owners in Tinley Park, IL. We were founded back in 2007 by John Gurtler, a man who grew up in and around the construction industry. Through his experience in large-scale restoration projects, we were able to optimize our procedures, grow rapidly, and help a number of property owners in need. We have always been customer focused, meaning that quality customer service is one of our primary concerns. We look forward to continuing this personalized service for those in need in Tinley Park, IL. In order to guarantee quality service, we demand a lot out of our technicians. Each one is IICRC certified and receives continually-scheduled training in disaster restoration fields. 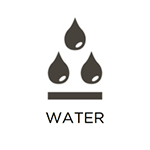 This includes how to respond to water damage, fire damage, mold damage, and more. We also require training on state-of-the-art restoration equipment and processes. Finally, as a rule of thumb, all of our staff members must pass an extensive background check in order to work for us, and work on your property. Overall, we are committed to delivering the best services possible to our clients, regardless of the situation. Whether you live alone in a small home, or own multiple businesses, we will respond rapidly and with purpose. In cases of large-scale damage, we will leverage our vast connections in the construction industry to help you from start to finish. We will work with your insurance company if you file a claim and even provide direct billing to them to ensure that they pay the claim. As a part of Rainbow International’s nationwide disaster restoration franchise, we work with neighboring franchises in cases of major disasters, as well. If you find yourself in need of disaster restoration services, we encourage you to give us a call. We are available 24/7 and will get a team of technicians to your property in short order. We also offer price matching services in which we will match estimates from other professionals who work within the IICRC’s standards of care. We currently offer our services to property owners in the Tinley Park, IL, area.